Fares are your airline’s biggest marketing asset. Protect them like you would your brand. 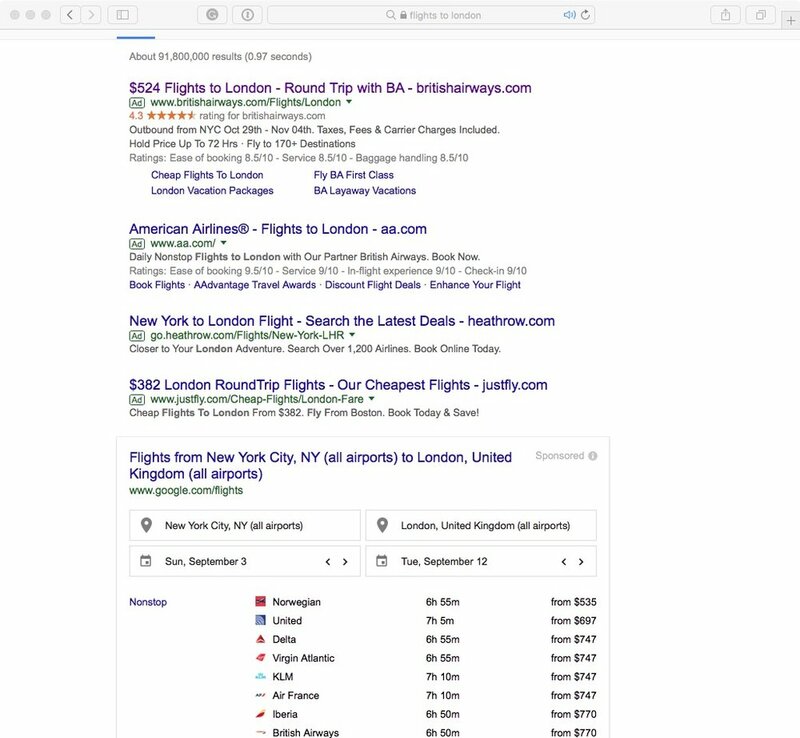 Last month, the European Commission hit Google with a €2.42 billion fine for abusing “its market dominance as a search engine by giving an illegal advantage to another Google product, its comparison-shopping service.” In plain English: it promoted Google Flights results above those of other flight search products. But the entities protected in this case aren’t the owners of the fares, they’re the other resellers. Even if Google Flights is removed from search results, another reseller will take its place. If airlines are to take control of direct-to-consumer distribution and succeed in increasing direct revenues, they must recognize fares are a crucial part of their brand and deliver that message on their own terms. Google et al advertise fares for one simple reason: it works. Customers’ purchasing behavior is heavily influenced by price. xCheck’s recent research shows that over 60 percent of leisure travelers base airline selection on price; it is the number one consideration for leisure customers. That’s why digital campaigns that include this tactic are dramatically more effective than those that don’t. Google and online travel agents (OTAs) know the process of finding a good fare is still not an easy one, and that customers are prepared to amend their dates, airline--even destination--for a good deal. By displaying fares immediately in the search results, Google provides the information customers really want as quickly as possible, generating valuable traffic. Customer price perception is a core component of how travelers perceive an airline’s brand. When this is in the hands of anyone other than the airline itself, the brand is exposed to massive risk. Consider this screenshot from a search for “flights to London” made on August 14th in New York City. You’ll notice that British Airways was, quite rightly, exposing the lowest fare they could legally advertise right in the ad copy: $524, return, taxes and fees included. They showed the outbound travel window and there was good availability when you went to the site to book. Perfect customer experience. That price is lower than some low cost carriers and significantly lower than the price shown in Google Flights. If British Airways doesn’t expose their fares Google will show a higher price, which leaves the customer with the perception that British Airways is significantly more expensive. This has the potential to negatively impact both acquisition and loyalty marketing efforts; the airline could not only lose direct response traffic in the short term, it risks not being considered for future trips. The damage done in that situation is significant and so airlines must not relinquish control of this message. Google’s real threat is airline innovation. Withdrawing from distribution deals is an unlikely and very long term scenario, and so the real and immediate counter to Google and the OTAs is innovation. Airlines are not designed to be particularly nimble operations (nor should they be, we should all be extremely grateful for risk averse airlines). Partnering with outside companies allows them to take advantage of new technologies without diverting attention from core operations. Advances in automation and big data architectures enables technologies such as ours to house algorithms that automate the process of advertising fares across thousands of routes. xCheck computes millions of possible travel periods per day to ensure the best fare stays in market, is trustworthy and automatically sent to all ad channels without human intervention. This is what marketing automation should be: executing heavy, laborious, repetitive tasks so humans can focus on strategy and creativity. The partnership between large established organizations and smaller technology firms is the perfect scenario for pushing the digital retail strategy of an airline forward. There are multiple fronts on which to fight this battle, and given the importance of fare pricing to the consumer, their experience and the airline’s revenue, advertising must be one of them.